The whole of Rye Bonfire are no strangers to hard work and fund raise tirelessly each year to stage Rye Bonfire. We have the hard working society members to thank for their fund raising efforts with auctions, boot fairs, quiz nights, etc. to make this spectacular event; not forgetting the assistance of members of neighbouring societies, particularly Robertsbridge and Hastings. We hope that you will enjoy your visit to this year’s event; the Rye Bonfire Society has raised and distributed many thousands of pounds of charity funding for good causes in and around Rye. We need to raise £10,000 a year to stage this spectacular event. 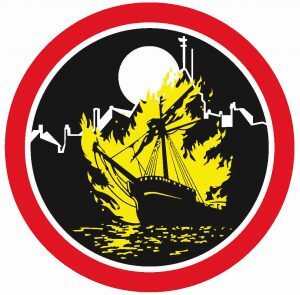 Members will be aware that this the 25th Anniversary of the ‘new’ Bonfire Society; we are planning to compile a book of pictures, memories, anecdotes, stories and history on Rye Bonfire over the years (not just the last 25 Years). If you have anything you think might be of interest please email to info@ryebonfire.co.ukand I will pass on, or copy can be left with Ian at Adams. We can scan pictures and newspaper cutting etc and will ensure safe return. Although we can’t promise to publish everything, we will give full credits where due. This is an exciting project, a really good opportunity to make a lasting record of Rye Bonfire for future generations! You are welcome to join us as new members to raise funds, dress up and collect or become a marshal – WE NEED YOU! Especially the youth of Rye.